My visit to Marawi city in June has left me with a profound sense of sadness. 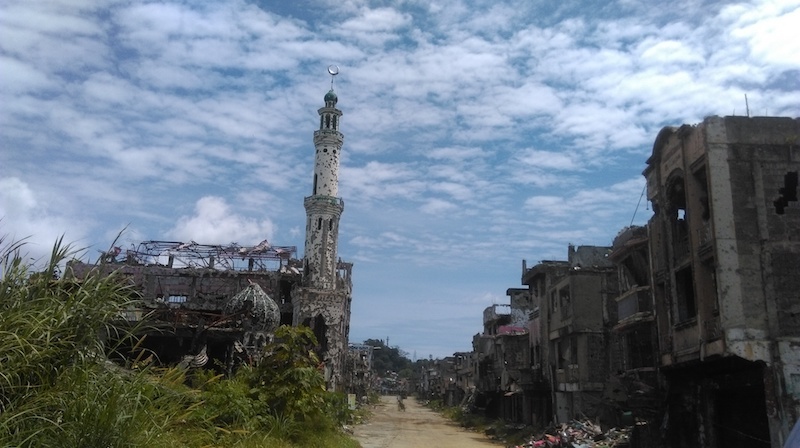 The enormous task of reconstructing a once-bustling Philippine city hangs heavily over the Task Force Bangon Marawi interagency committee. Apart from rehabilitation and compensation for damage lost during the siege last year by ISIS-inspired militants, which lasted more than five months, there is an acute need for building trust and hope among the people of Marawi. Marawi is the capital of Lanao del Sur, one of the five provinces of the Autonomous Region of Muslim Mindanao (ARMM) that have long advocated for self-determination. With a population of more than 200,000, 96% of which are Muslim Maranaws, Marawi is also known as Islamic City in the Philippines and is the centre of commerce in ARMM. Marawi has been a source of great pride not only for the Maranaws but also for all of Muslim Mindanao. Before the siege, it was known for towering mosques, rows of large concrete houses, cultural and art centres, and busy commercial streets. The international media, expecting thousands of people fleeing on foot from the guns and bombs, were astonished to witness long stretches of cars and SUVs choking roads all the way from Marawi to Iligan City. This incident was indeed a demonstration of the social and status divisions within the Maranaw population. Yet war, poverty, armed groups and private armies, clan conflicts, and almost a total lack of governance have come to define this once-beautiful city overlooking Lake Ranao. 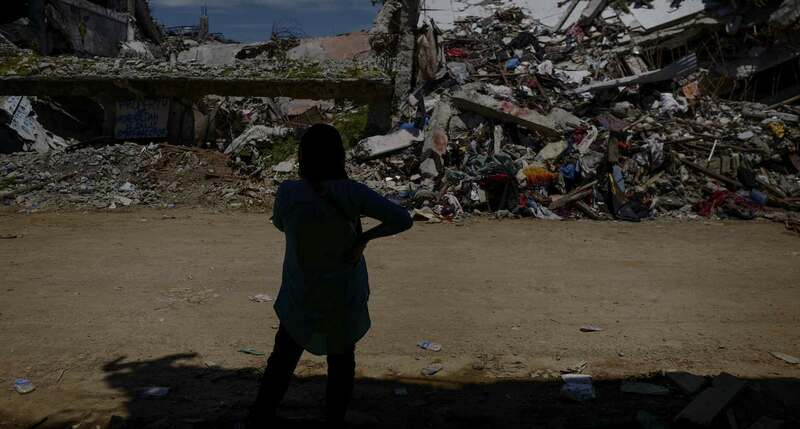 The province has consistently been one of the Philippines’ poorest, with six out of ten families living in poverty, according to the Philippine Statistics Authority. Marawi mirrors this incidence, with 60% of the population considered poor. The people have been living with war and violence for decades, but not of this magnitude. “We were expecting this to last only for a few days, perhaps no more than five, because we are used to this cycle of violence”, said a resident. Many left their valuables behind, thinking they would return after a few days. Even now, however, they cannot return to their homes. When the fighting stopped in November 2017, the city had been turned into complete ruins, and is now aptly referred to as “ground zero”. Only stray dogs and patrolling military soldiers can be seen and heard in the abandoned, ghostly streets. Ground zero is off limits unless one can secure a permit for a brief visit from the military. Visiting is extremely dangerous, as there are hundreds of unexploded bombs and improvised explosive devices lying around. According to residents, high-powered guns and drones were used by both militants and the military during the siege. “Foreign observers told us that this was a scene like Aleppo”, civilians remarked. Home evacuees are invisible and are not taken into account by government aid. Maranaws are proud people and they do not want to live in the evacuation centres, but they recognise that they put a lot of pressure on relatives. At least PhP 72 billion is required to rehabilitate the city. There is an immense need for future work to tackle fundamental political, economic, and cultural issues that sustain the cycle of violence and make fundamentalist beliefs and the use of violent methods an attractive option for change. Trust in the state and in institutions, including traditional organisations that have held the communities together despite decades of chaos, is low. There are those who oppose the imposition of martial law, who seek accountability for human rights violations, and condemn the lootings of properties left behind by residents. The heady mix of suffering and desperation, lack of transparency and good communication, and uncertainty about the future has made Marawi and surrounds even more vulnerable to violent struggle and crimes. 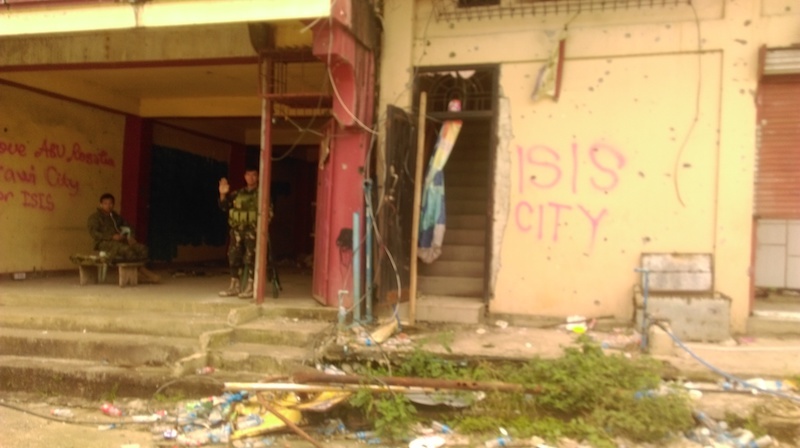 During our fieldtrip on Mindanao for a research project into civil society and military relations, fighting erupted anew in three barangays (neighbourhoods) in Lanao del Sur between the military and the Maute-ISIS group, displacing more than 200 families. Rido (violent clan feuding) occurred right after Ramadan. Amid the ruins, there are opportunities to potentially work through knotty issues of conflict and peace. Amid the ruins, there are opportunities to potentially work through knotty issues of conflict and peace. Civil society and private groups in Mindanao have been energised through their humanitarian efforts and advocacy for respect of human rights in emergency conditions. This has allowed for engagement between faith groups and with the military. Stories abound of how Muslims and Christians cooperated and put their lives on the line to help each other during the crisis. The military, for its part, has shown openness in dealing with NGOs and private groups in delivering humanitarian aid to the displaced. Even NGOs acknowledged the professionalism of military leadership in facilitating humanitarian aid. Children in the evacuation centres, who initially depicted the military as the enemy in their drawings, started to portray the soldiers as friends or saviours. Rebuilding trust between government authorities and people, and between different groups and clans, in Lanao del Sur and the rest of the ARMM is as important as delivering rehabilitation and infrastructure projects. After all, in the past, instigating building projects alone only resulted in failure. The passage of the Bangsamoro Basic Law (BBL) this year, the organic law that would provide greater autonomy in the ARMM, could be the most significant trust-building project that the Philippine government could offer to Mindanao. Residents, civil society, the academic community, and the military in Marawi are one in saying that this could be the best hope for lasting peace in the region.